A new approach for automated diagnosis and classification of Magnetic Resonance (MR) human brain images is proposed. The proposed method uses Wavelets Transform (WT) as input module to Genetic Algorithm (GA) and Support Vector Machine (SVM). It segregates MR brain images into normal and abnormal. This contribution employs genetic algorithm for feature selection which requires much lighter computational burden in comparison with Sequential Floating Backward Selection (SFBS) and Sequential Floating Forward Selection (SFFS) methods. A percentage reduction rate of 88.63% is achieved. An excellent classification rate of 100% could be achieved using the support vector machine. 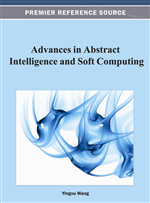 The observed results are significantly better than the results reported in a previous research work employing Wavelet Transform and Support Vector Machine. For the feature extraction there is a wide variety of multi-resolution approaches mainly Fourier transform (FT) and wavelet transform (WT). Wavelets are mathematical tools for analysis of complex datasets. These mathematical functions decompose data into different frequency components and then study each component with a resolution matched to its scale. Compared with Fourier transform, wavelet transform seems as an efficient tool in many ways. The Fourier Transform suffers from the limitation that the provided image representation is based only on its frequency content and is not localized in time. Another problem is that the Fourier Transform cannot provide time evolving effects of frequencies in non stationary signals whereas wavelet transform functions provides a hierarchy of scales ranging from the coarsest scale in stationary or in non-stationary signals. Hence wavelet transform has received much attention as a promising tool for feature extraction from images because it can represent an image at various resolutions and because there is a wide range of choices for the wavelet functions.